5 Unique Ways to Give your Room the WOW Factor! When it comes to interior design, unless you’re an expert it can sometimes seem daunting trying to envisage what a room will look like when you’re finished decorating. You can have big ideas for the finished project, but when it all comes together it feels like it’s lacking something. Today, I’m sharing five ideas of how to add a WOW factor to your room to give you some inspiration for your decorating project. Long gone are the days when wallpaper had to be a flowery pattern; now, your wallpaper can carry you off to an enchanted land, make you feel like you’re sleeping in the stands of your beloved football stadium or even give the impression that you’re sleeping next to a priceless work of art. Azutura offers a whole range of wallpapers which will really take your decor to the next level. If you aren’t brave enough for a full wall mural of wallpaper, you could always opt for a wall sticker. Wall stickers come in a whole range of designs from shooting stars to trees to your favourite quotes and are super easy to apply and remove. If you don’t want to make changes to the decoration of the room, you could always change up the accessories and ornaments you have on display. A statement clock in sterling silver will create a focal point in the room which will draw the eye and create a little wow factor all on its own. A big bold mirror in an unexpected place will visually double your room size, increasing it’s depth and immediately make it brighter. I love them in areas where you wouldn’t naturally expect them and I like them BIG. The only thing you have to remember is that whatever you put directly in front of the mirror will be reflected so make sure it counts (and looks pretty even from the back)! 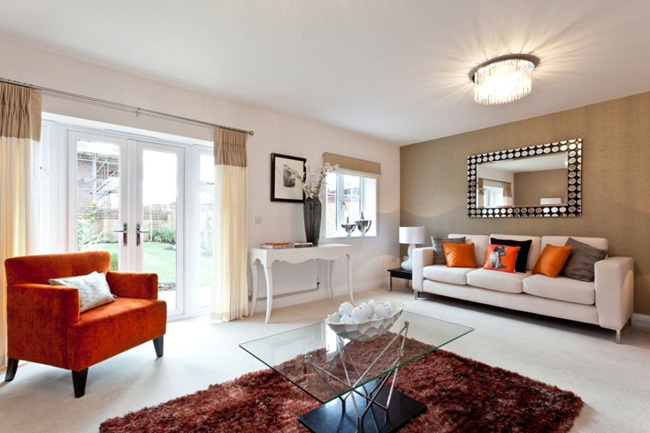 Everyone has a different colour tolerance level for the amount of bright colour they have in their rooms. Some people want their spaces filled with bold, beautiful colour. Others prefer a quieter, more muted palette. 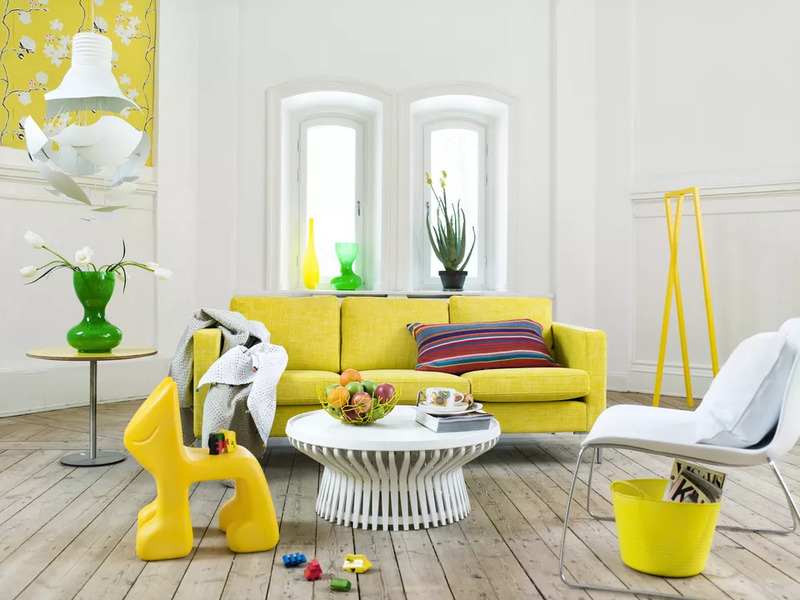 No matter where you fall, consider adding a new pop of colour to your space. I guarantee it will turn heads. What do you do when you want to add a bit of WOW factor to your rooms? Do leave me a comment below, I’d love to hear from you. When it comes to home decor, trends change on a pretty regular basis. Every year, new colours come into fashion and lots of people jump onto the bandwagon, using the colours all over their houses. For the last couple of years, grey has been a major interiors trend, and be honest, how many people do you know who’ve got grey in at least one room of their house now? The problem with following trends is that, in a few years time when the colour is out of fashion, your house could end up looking pretty dated if you’ve got it everywhere. So today, i thought I’d show you a few ways to add on-trend colours to your house without leaving you needing to redecorate again in a years’ time! Grey is a nice neutral colour, so using it for something like a floor won’t leave your room looking outdated for years to come. Our tip? Lifestyle Flooring UK have a large selection of solid wood flooring here https://lifestyleflooringuk.co.uk/solid-wood-flooring that are easy to buy and fit and allow you to change the whole look of a room without going overboard and painting every surface. Choosing one feature wall in your room to paint and keeping the rest of the walls a neutral colour is a great way to add an accent with minimal effort. It’s easy to paint over when you want something different, won’t require the whole room to be prepped and covered with dust sheets and is achievable in one afternoon, if the rest of your room is in good condition. If your room us a pretty neutral shade and the accent colour you like goes well with it, you could simply invest in cushion covers, lampshades and curtains or blinds in your chosen accent. These are all relatively low cost items which can totally transform the look of a room. Keeping a constant stream of fresh flowers in your house is both expensive and unsustainable. However, investing in some good faux flowers can add a splash of colour to your room and will last as long as you need them to. Faux flowers have come on a lot in the last few years, and some of them look more real than the real thing! Adding a piece of art to the wall can help you to add a stunning splash of colour to a room, and if you hang it in a central place, you can change it as often as you like. There are companies who make large canvases with traditional art pieces on them, or you could even try making your own with a blank canvas and some paints in your chosen colour.